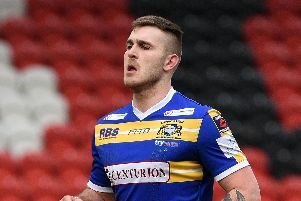 Despite having home advantage, the Dons lost out to Workington Town in the play-off semi-finals. “It took some getting over because we were quietly confident,” Hall said in his latest ‘In the Dugout’ video. “I wanted us to get out of this league. “Obviously we had a bit of a dip midway through the season and we copped a bit of stick but we nearly did it [won promotion]. It would’ve been really nice to do it. 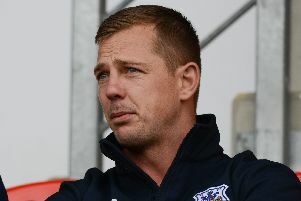 “The way everything’s gone with the Championship and League One, I genuinely thought all we needed to do was make the final and we would’ve been in the Championship. “But that’s rugby league. It’s tough. Workington came and beat us, and it was a really tough time for everyone connected to the club. It was awful. “We have to get over that and then we have to go again. “Next year we have to look to try and win it.